If you have struggled with a do-it-yourself carpet spot cleaner, you know that they don’t compare to a professional carpet cleaning service. Advanced Carpet Restoration is there for you when you have tough stains and spots that you can’t defeat by yourself. Time to call in reinforcements. The carpeting in your home takes a beating every day, and everyone has at some point needed a good carpet spot cleaner. General maintenance and a professional carpet spot cleaner are the keys to avoiding full carpet replacement. Children and pets are particularly hard on carpets and spot-causing accidents can rarely be avoided. This is when an experienced carpet spot cleaner is vital. Avoid having to go through a costly carpet replacement by calling up Advanced Carpet Restoration for a professional cleaning at least twice a year. Take a look at the photo below to see the tough spots that don’t stand a chance against the professionals at Advanced Carpet Restoration. With Advanced Carpet Restoration’s arsenal of spot cleaning weapons, no spots or stains stand a chance. Call in the professionals to clean spots caused by paint, ink, cosmetics, pet stains, rust, gum, coffee, tea, wax, tar or blood. Don’t panic! 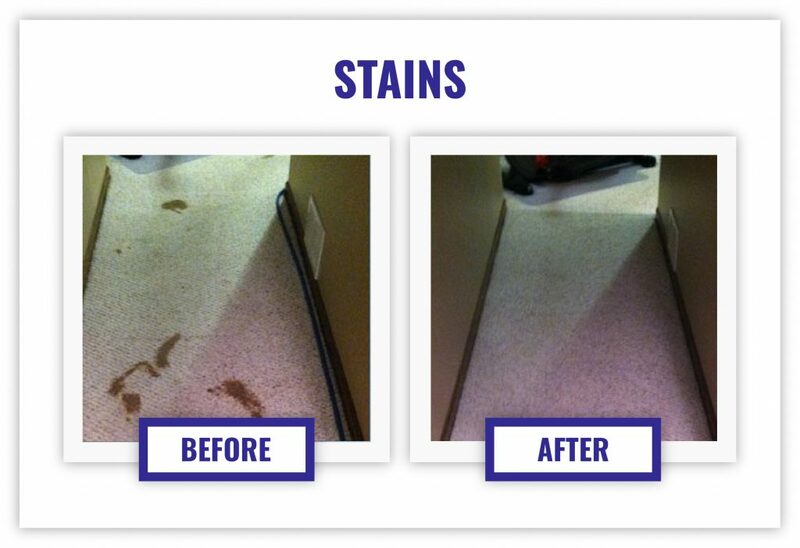 Tough stains are Advanced Carpet Restoration’s specialty. Remove odor, restore your carpets to their original shine, and experience the difference of a professional carpet spot cleaner like Advanced Carpet Restoration. Check our reasonable rates on the Advanced Carpet Restoration website. Don’t wait! Get your estimate today!